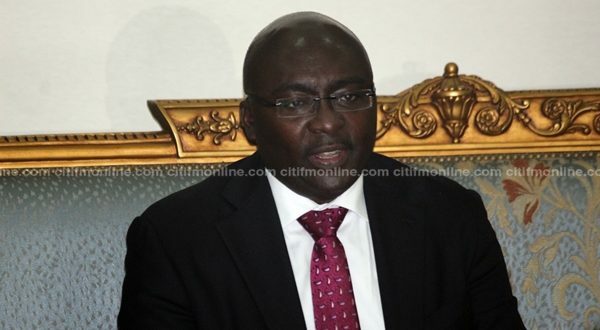 The Vice President, Dr. Mahamadu Bawumia, has hit back at critics who say the government is unfairly using the country’s natural resources to contract a $15 billion loan facility from the Chinese government. According to him, the Memorandum of Understanding signed between the Government of Ghana and the Chinese government, is a joint venture and not a loan. The government has come under pressure from the Minority in Parliament and some civil society organizations over its plan to leverage the country’s Bauxite depositsin the Atiwa forest to contract the money. “It is a joint venture; and essentially that is what the leveraging means in this context. It is a win – win situation” he said. Dr. Bawumia was speaking at a forum organized by the Institute of Democratic Governance (IDEG) on China-Africa relations. He noted that, the decision to make the arrangement with the Chinese government was properly thought through, and said the government was committed to using the money to transform the economy by undertaking important projects.